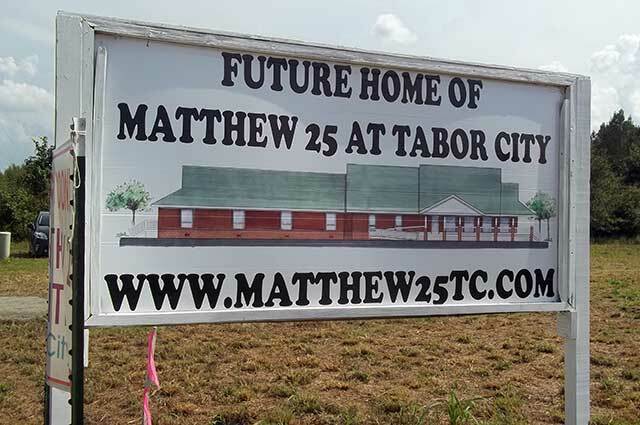 TABOR CITY - Friends and supporters recently gathered in Columbus County to break ground on a 5,160 square foot building which will provide overnight accommodations for family members who are visiting relatives at the adjacent prison facility. 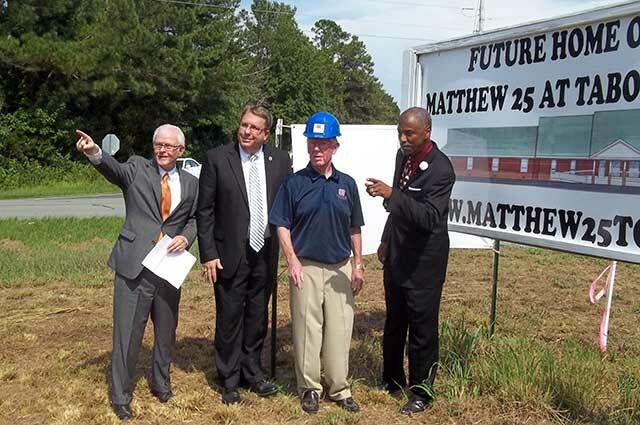 Visionary leaders are building the Matthew 25 Center within sight of the Tabor Correctional Institution, home to 1,750 prisoners. Funded by area citizens, churches, and businesses, the Center is designed to provide a place of shelter and retreat. 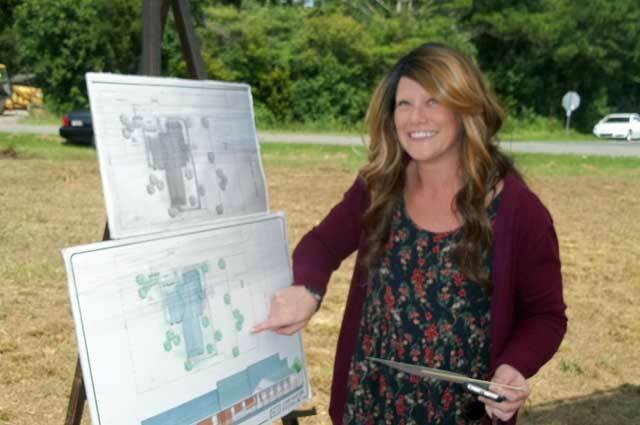 Architectural plans include a dining area, playground for children, and four hotel-type rooms. 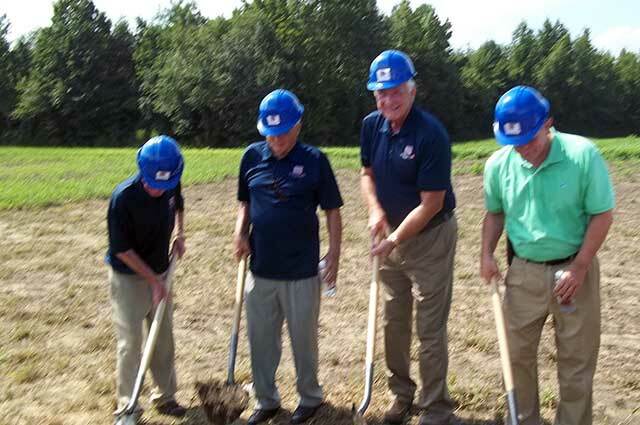 The Rye Foundation has made an investment of $10,000 in the project. Burnett Coleman, a retired banker who led the fundraising drive, explained the primary purpose of the Center in three words - maintaining family relationships. “We believe it is important for children and other family members to have ongoing contact and dialogue with the inmates,” he said. Steen referenced a report issued by the Annie E. Casey Foundation. It showed that 179,000 children in North Carolina had experienced separation from a parent or step-parent due to incarceration. He said that the Rye Foundation has funded other projects aimed at helping prisoners’ children in Burgaw, Taylorsville, and Winston-Salem.